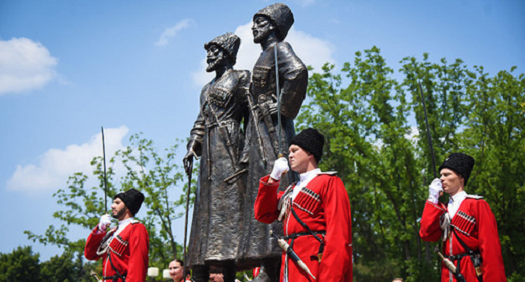 "Adyghe Khase - Circassian Council"
On July 28, Krasnodar held the ceremony of opening of the monument to the heroes of World War I. It represents a sculpture of a mountaineer and a Cossack. The opening ceremony was attended by a delegation from Adygea. 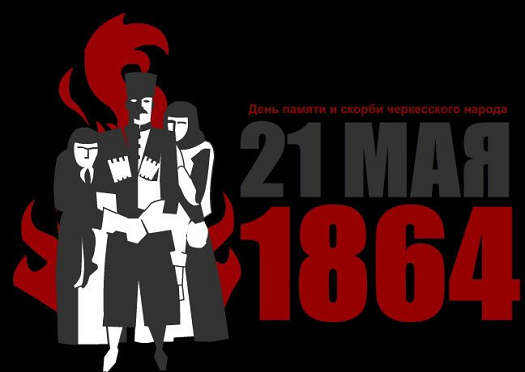 However, members of the Circassian community were not invited to the ceremony, since they could criticize the monument. According to residents, of Krasnodar, there are only several memorial places in the city associated with World War I. The monument to a Cossack and a mountaineer is the first one in Krasnodar. This was told to the "Caucasian Knot" correspondent by officials from the Department for the Krasnodar Territory of the State Service for preservation of objects of cultural heritage. Aslan Tkhakushinov, the leader of Adygea, has emphasized that martial partnership of mountaineers and Cossacks during World War I was "a shining example of international unity." Arambiy Khapai, the former leader of the public movement "Adyge-Khase-Circassian Parliament", believes that the authorities of the Krasnodar Territory and Adygea did not like criticism from the Circassian activists. According to him, since the Circassian issue is urgent in the region, it was necessary to discuss the monument with the indigenous population. "I believe that the monument was to be erected in memory of participants of World War I, to the 'Wild Division' and not Cossacks and mountaineers... There is no such a nation as mountaineers," Arambiy Khapai has stated. According to Zaurbiy Chundyshko, the chairman of the Maikop city public organization "Adyge-Khase-Circassian Council", the Krasnodar monument to mountaineers and Cossacks brings together the peoples who participated in World War I.
МГОО "Адыгэ Хасэ - Черкесский Совет"
"Адыгэ Хасэ - Черкес Совет"
"اديغه خاسه - المجلس الشركسي"
"Adyghe Khase - Circassian Council". Picture Window theme. Powered by Blogger.